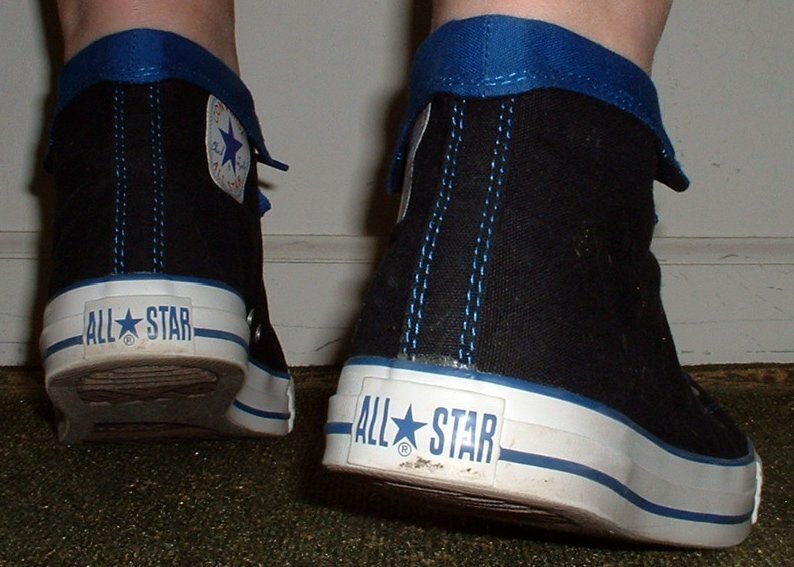 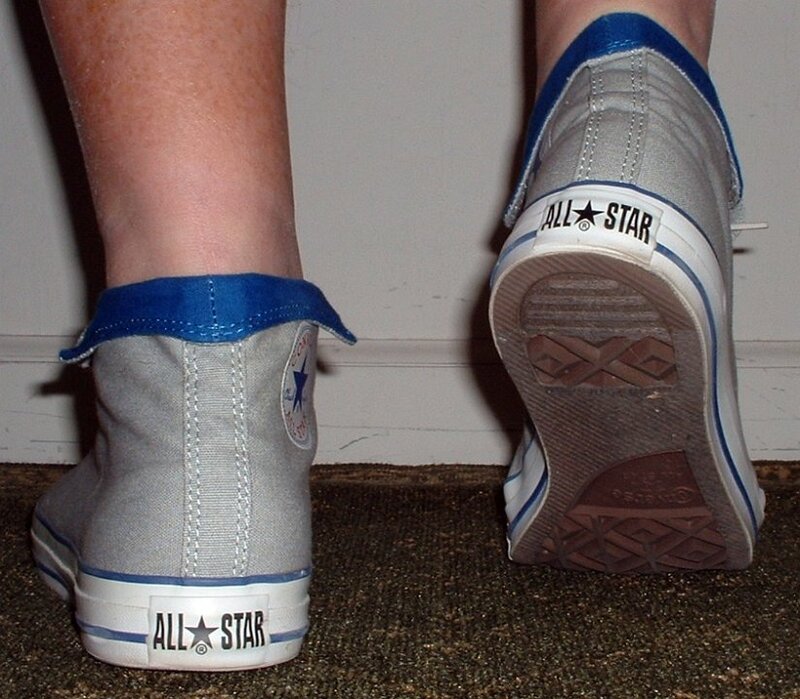 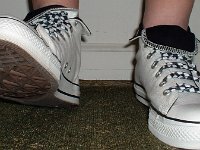 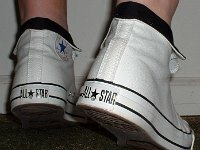 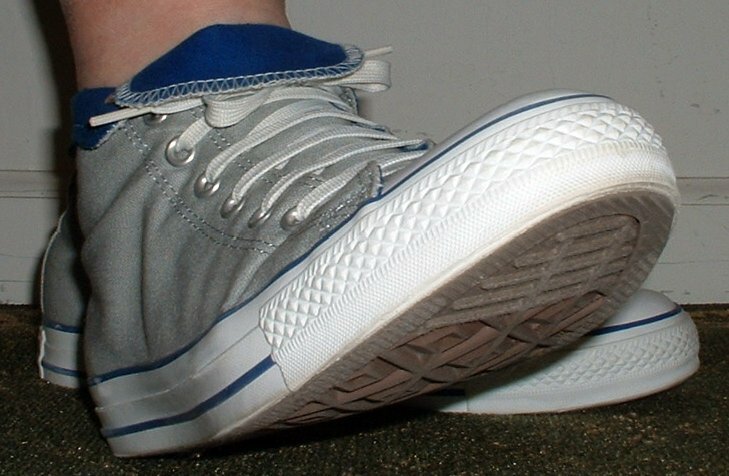 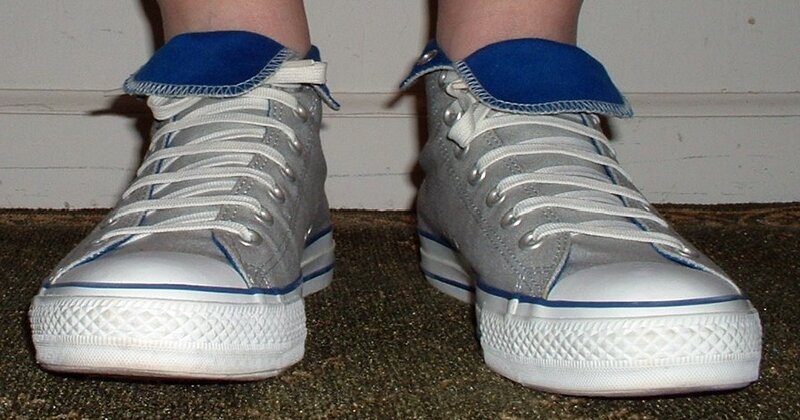 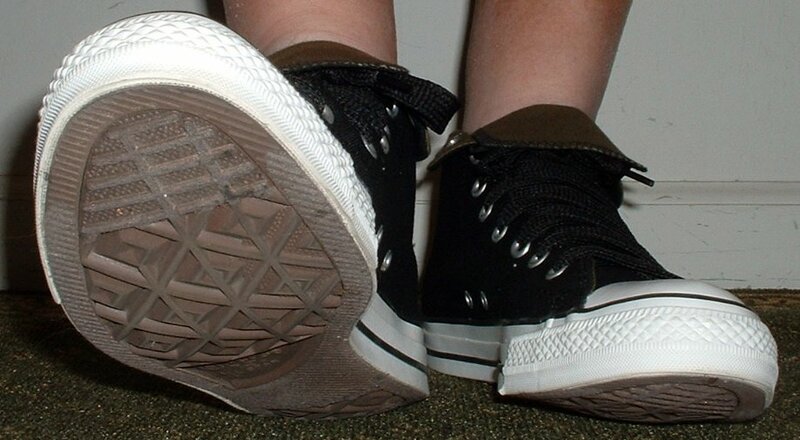 Photo gallery of how various models of foldover high top chucks look when worn rolled down. 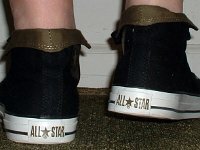 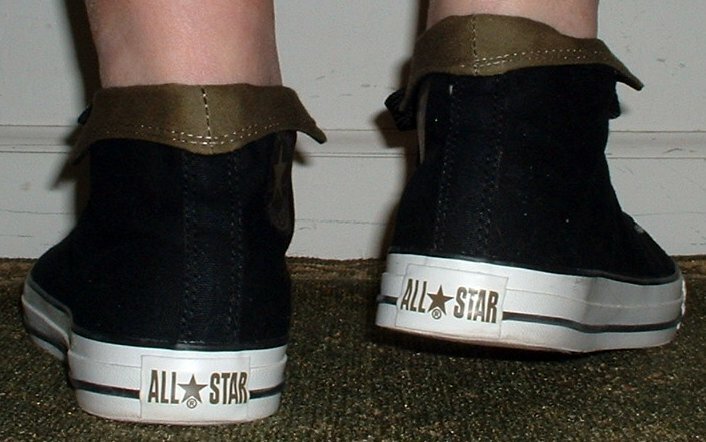 1 Wearing Rolled Down High Top Chucks Top view of black and olive foldovers with fat black laces. 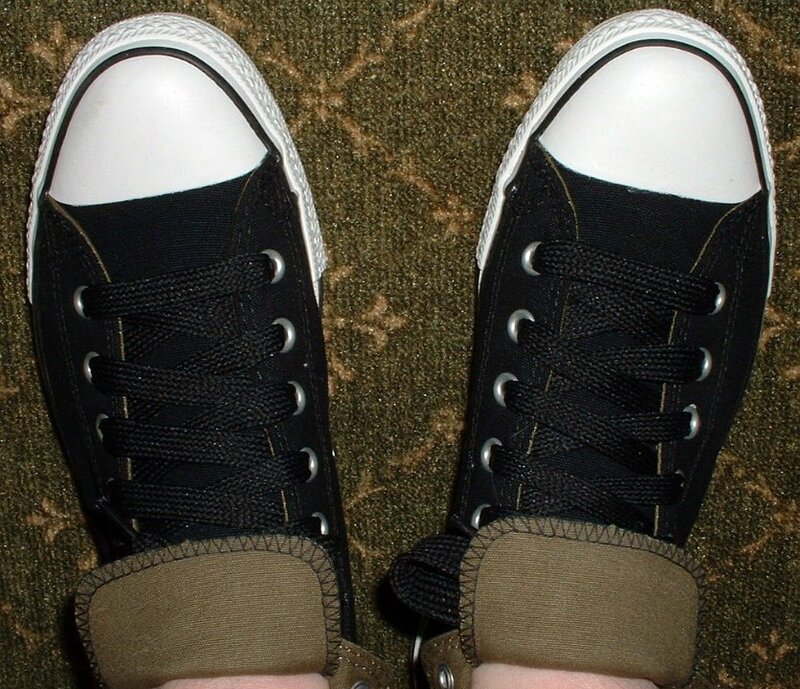 2 Wearing Rolled Down High Top Chucks Front view of black and olive foldovers with fat black shoelaces. 3 Wearing Rolled Down High Top Chucks Stepping out in black and olive foldovers with fat black laces. 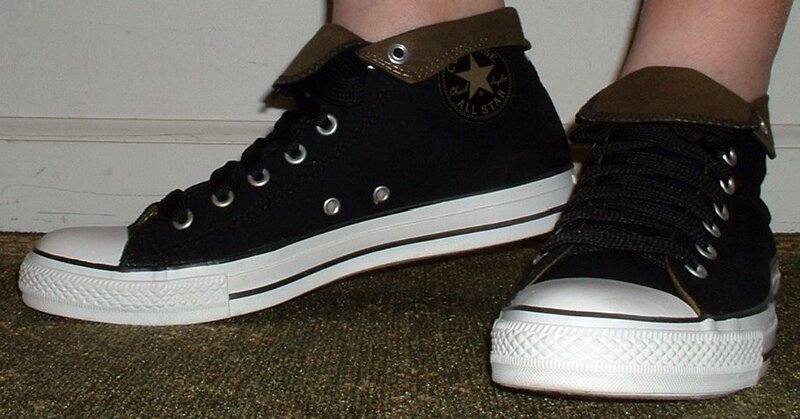 4 Wearing Rolled Down High Top Chucks Angled front view of black and olive foldovers with fat black laces. 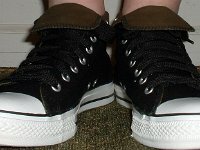 5 Wearing Rolled Down High Top Chucks Right side view of black and olive foldovers with fat black laces. 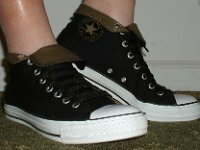 6 Wearing Rolled Down High Top Chucks Left side view of black and olive foldovers with fat black laces. 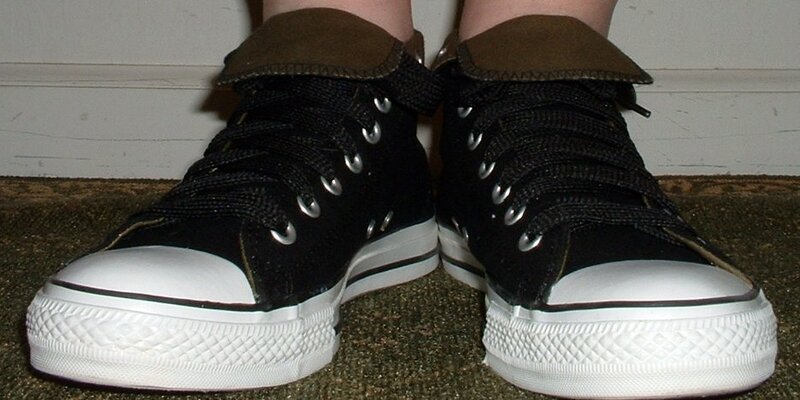 7 Wearing Rolled Down High Top Chucks Rear view of black and olive foldovers with fat black laces. 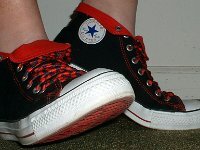 8 Wearing Rolled Down High Top Chucks Top view of black and red foldovers with red and black checkered shoelaces. 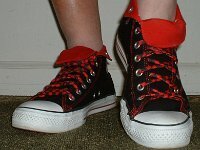 9 Wearing Rolled Down High Top Chucks Front view of black and red foldovers with red and black laces. 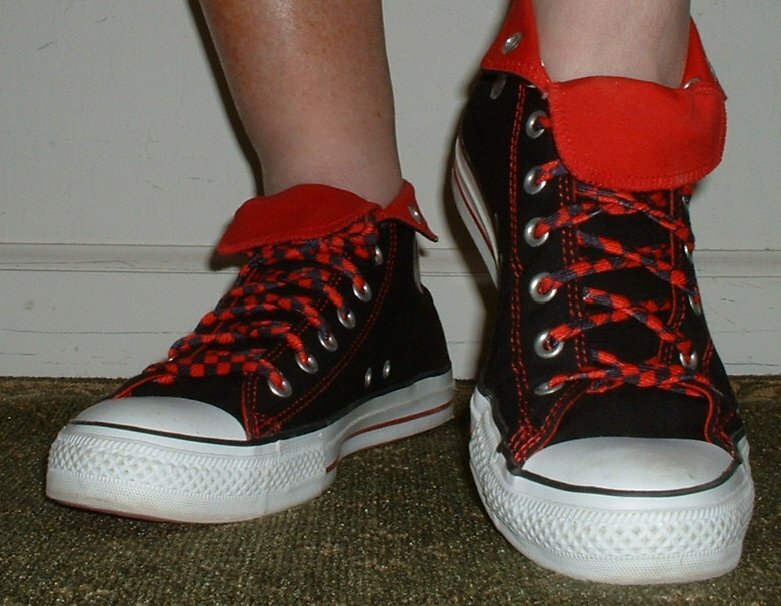 10 Wearing Rolled Down High Top Chucks Stepping up in black and red foldovers with red and black laces. 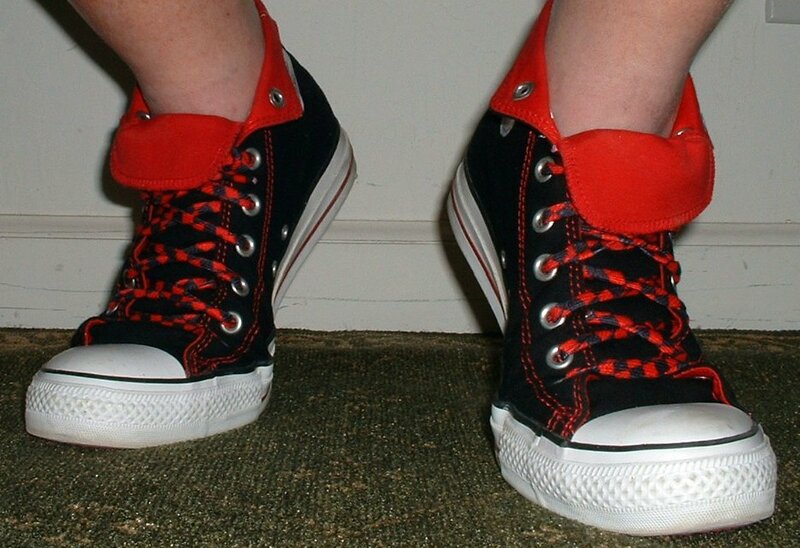 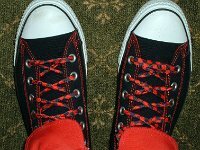 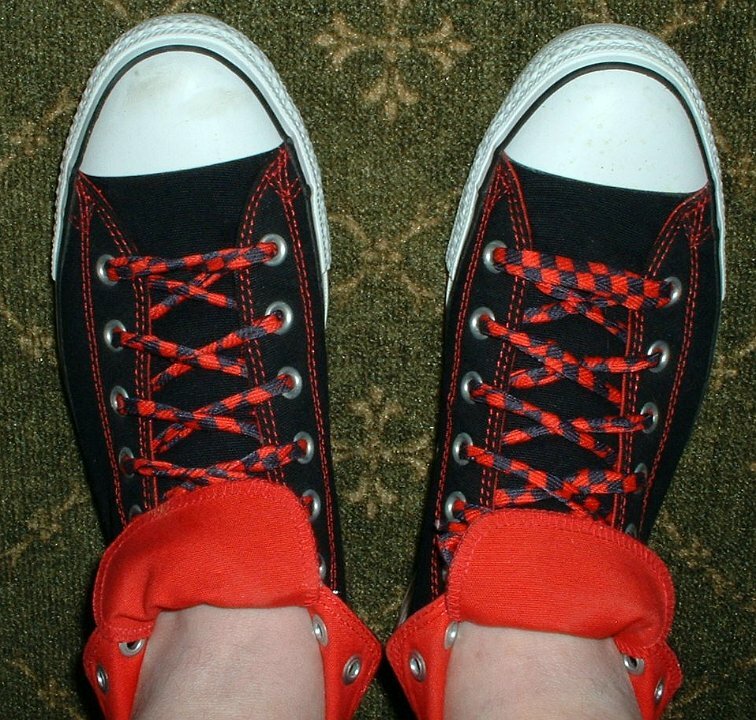 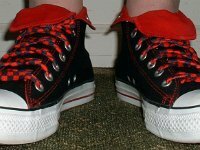 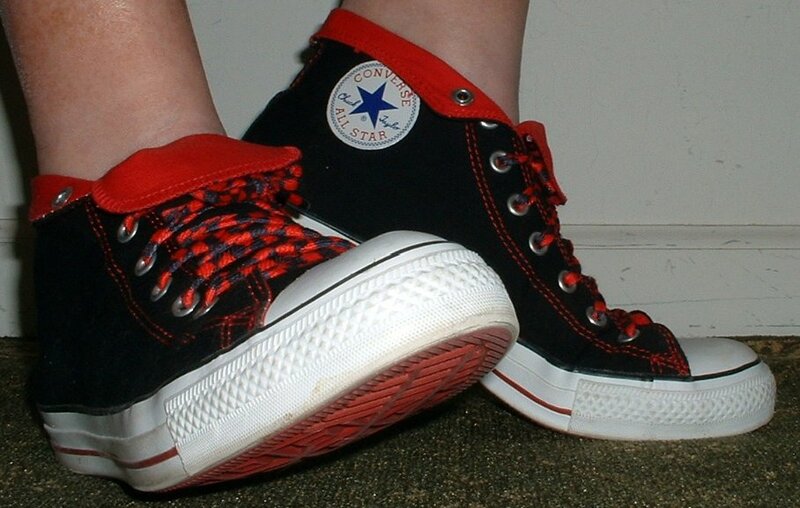 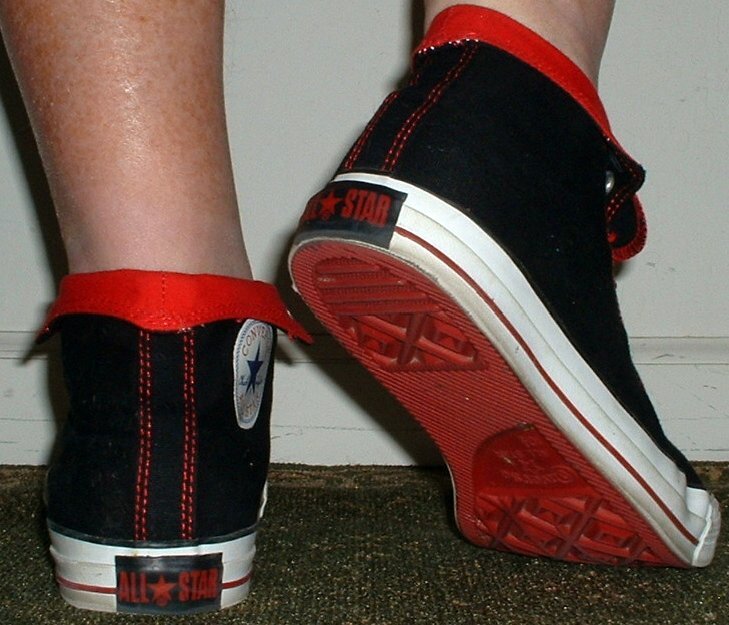 11 Wearing Rolled Down High Top Chucks Left view of black and red foldovers with red and black laces. 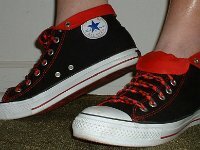 12 Wearing Rolled Down High Top Chucks Rear view of black and red foldovers with red and black laces. 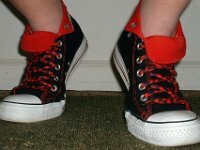 13 Wearing Rolled Down High Top Chucks Right side view of black and red foldovers with red and black laces. 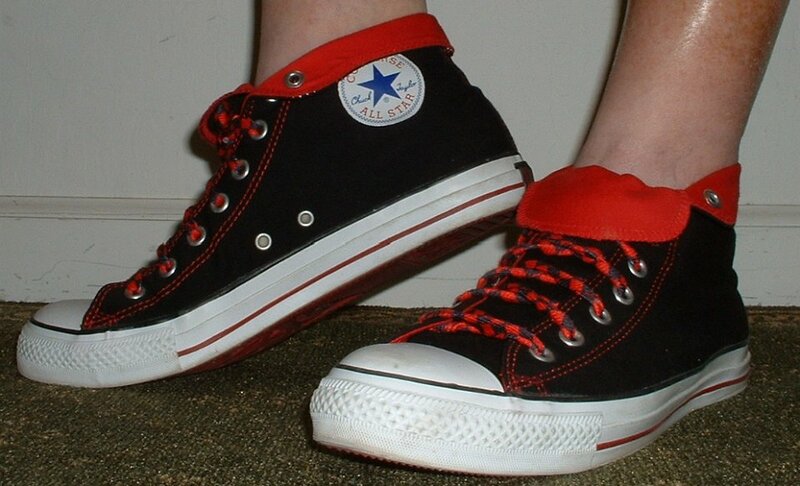 14 Wearing Rolled Down High Top Chucks Laening forward in black and red foldovers with red and black laces. 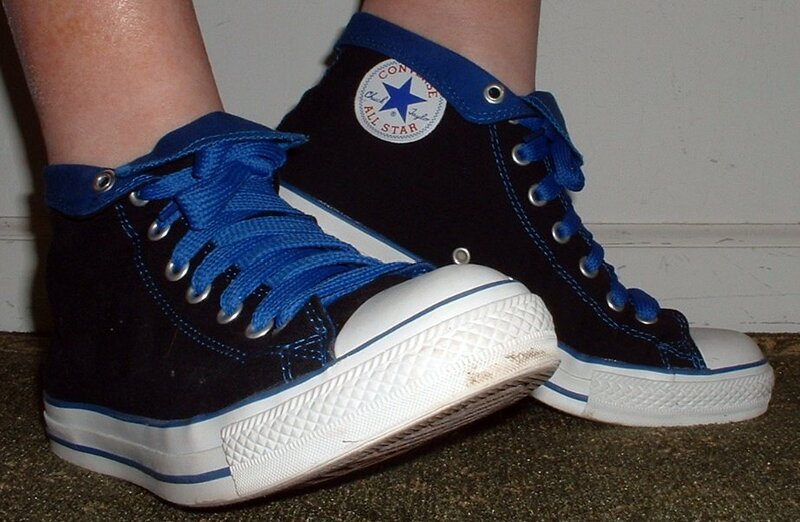 15 Wearing Rolled Down High Top Chucks Top view of black and royal foldovers with fat royal blue laces. 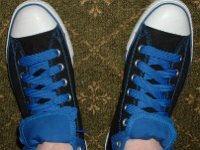 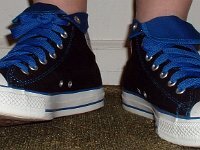 16 Wearing Rolled Down High Top Chucks Front view of black and royal foldovers with fat royal blue laces. 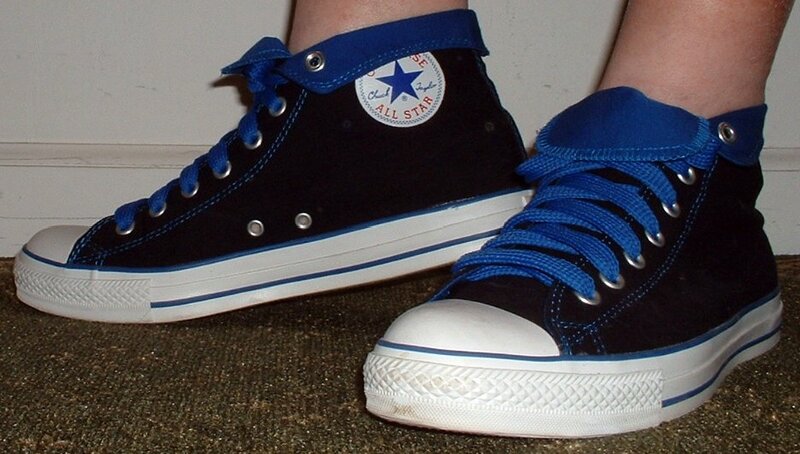 17 Wearing Rolled Down High Top Chucks Stepping out in black and royal foldovers with fat royal blue laces. 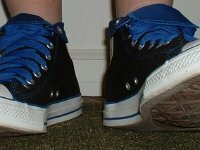 18 Wearing Rolled Down High Top Chucks Left side view of black and royal foldovers with fat royal blue laces. 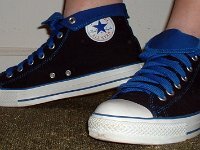 19 Wearing Rolled Down High Top Chucks Rear view of black and royal foldovers with fat royal blue laces. 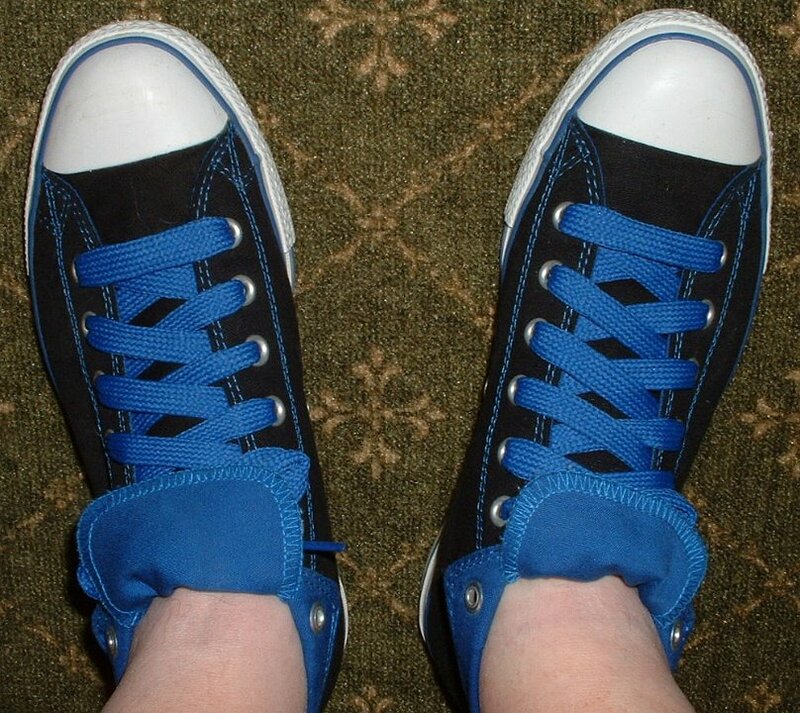 20 Wearing Rolled Down High Top Chucks Right side view of black and royal foldovers with fat royal blue laces. 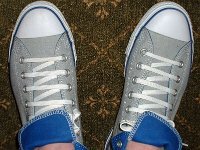 21 Wearing Rolled Down High Top Chucks Top view of gray and royal foldovers laced using the "Triangle" method with classic white shoelaces. 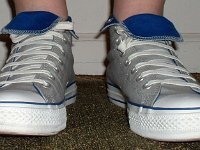 22 Wearing Rolled Down High Top Chucks Front view of gray and royal foldovers laced using the "Triangle" method with classic white shoelaces. 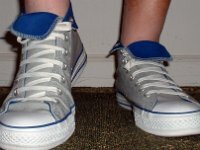 23 Wearing Rolled Down High Top Chucks Front view of gray and royal foldovers laced using the "Triangle" method with classic white shoelaces. 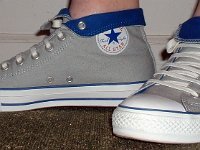 24 Wearing Rolled Down High Top Chucks Left side view of gray and royal foldovers laced using the "Triangle" method with classic white shoelaces. 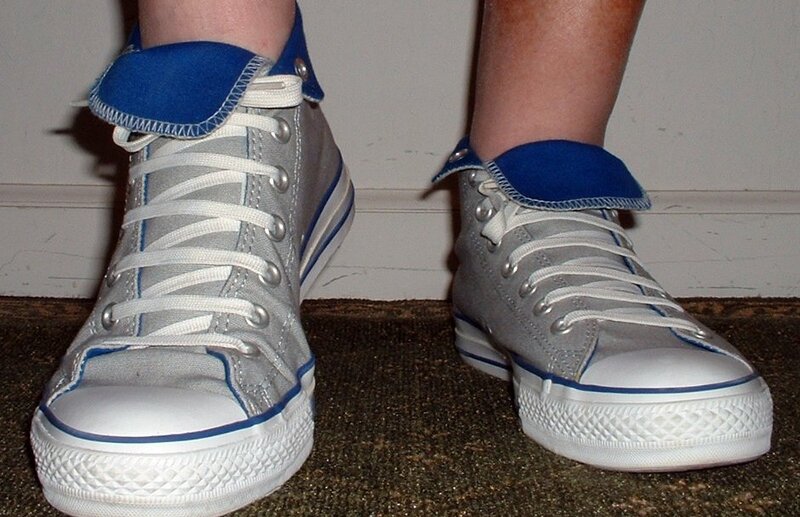 25 Wearing Rolled Down High Top Chucks Rear view of gray and royal foldovers laced using the "Triangle" method with classic white shoelaces. 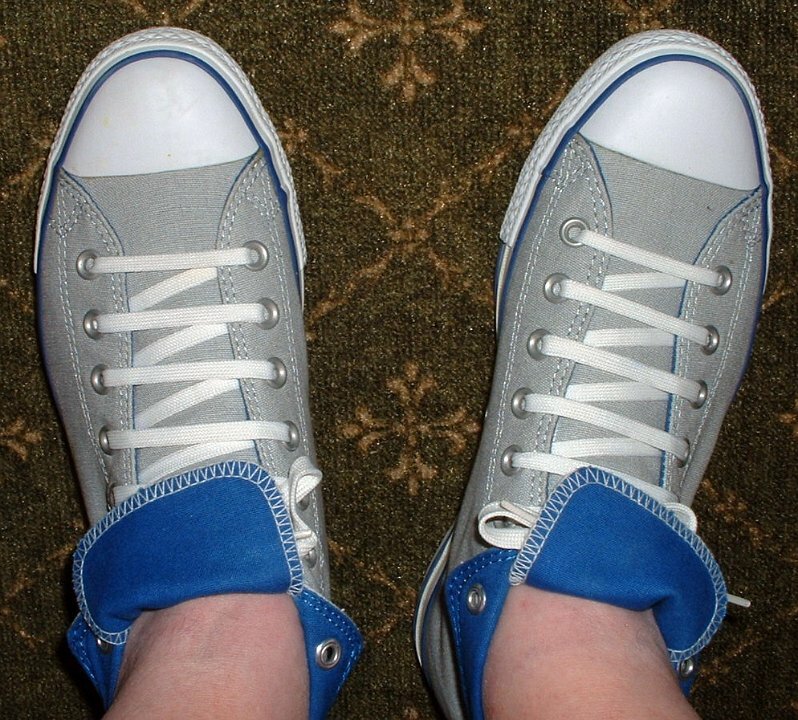 26 Wearing Rolled Down High Top Chucks Angled right side view of gray and royal foldovers laced using the "Triangle" method with classic white shoelaces. 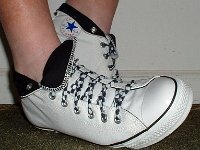 27 Wearing Rolled Down High Top Chucks Top view of white and black foldovers laced with black and white checkered shoelaces. 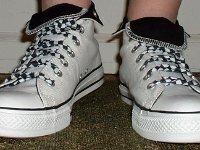 28 Wearing Rolled Down High Top Chucks Front view of white and black foldovers laced with black and white checkered shoelaces. 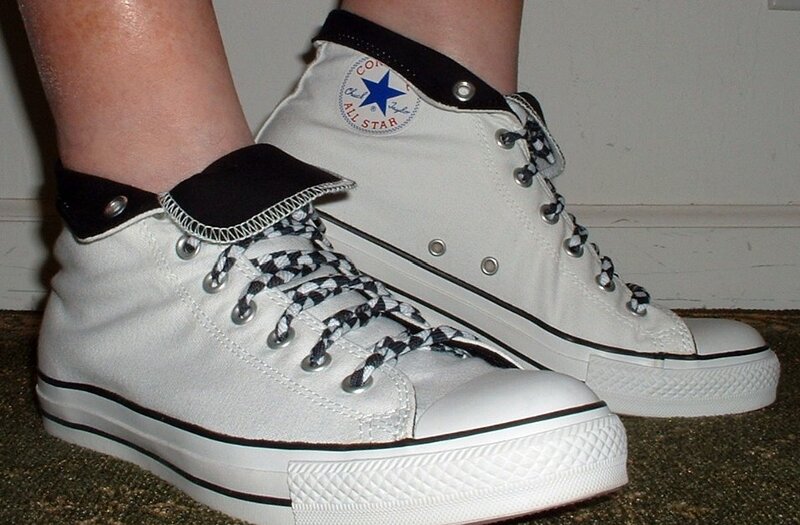 29 Wearing Rolled Down High Top Chucks Stepping out in white and black foldovers laced with black and white checkered shoelaces. 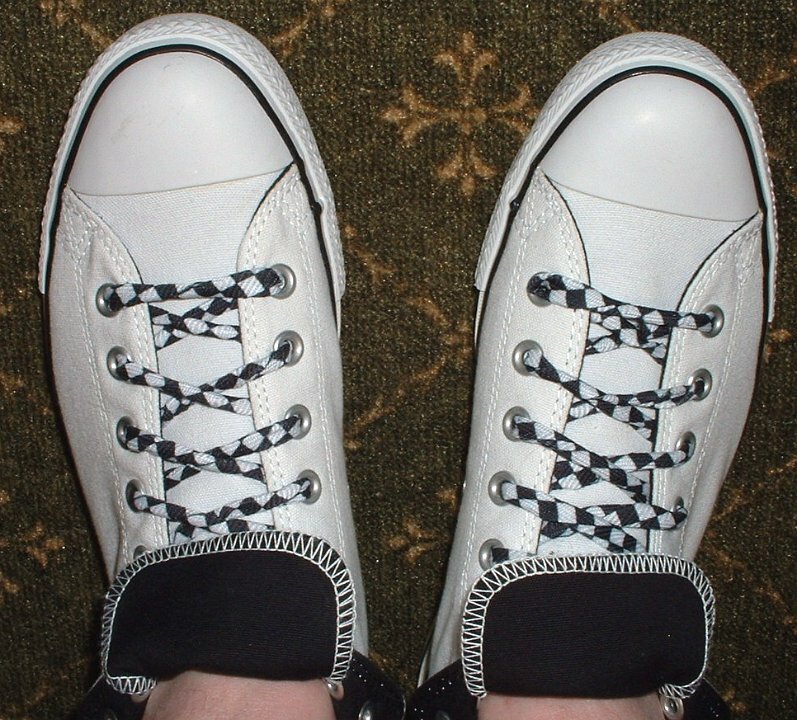 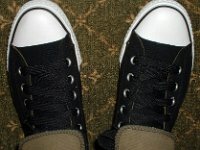 30 Wearing Rolled Down High Top Chucks Right side view of white and black foldovers laced with black and white checkered shoelaces. 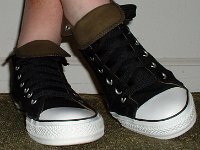 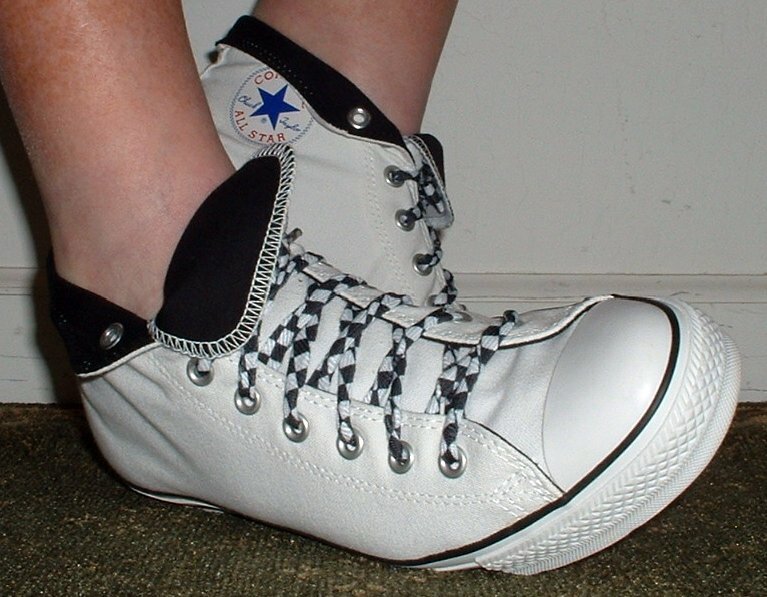 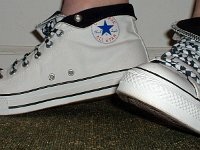 31 Wearing Rolled Down High Top Chucks Left side view of white and black foldovers laced with black and white checkered shoelaces. 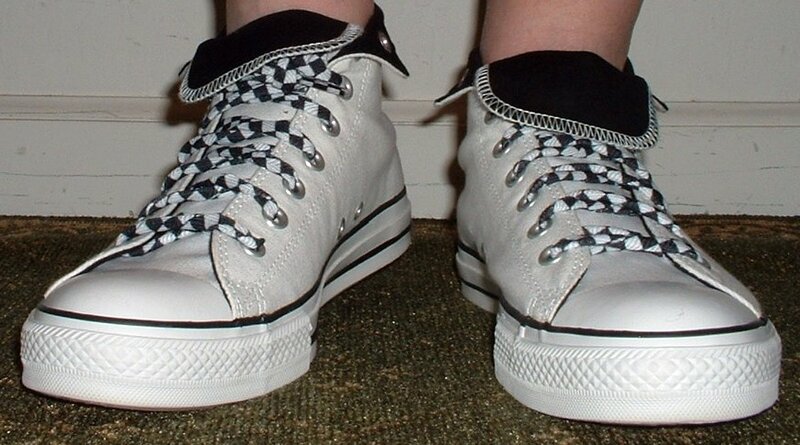 32 Wearing Rolled Down High Top Chucks Rear view of white and black foldovers laced with black and white checkered shoelaces. 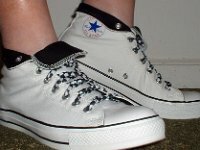 33 Wearing Rolled Down High Top Chucks Leaning to the right wearing white and black foldovers laced with black and white checkered shoelaces. 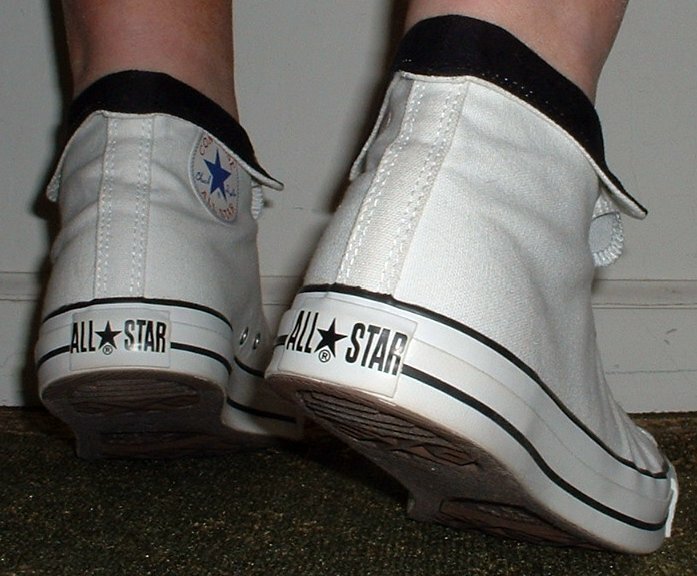 Foldover models of chuck high tops are great summer wear. 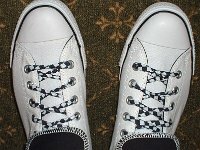 Wear them without socks and laced to the sixth or seventh eyelet. 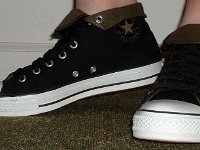 The rolled down canvas at the top gives you the effect of a low cut chuck, but the more stylish look of the foldover with its second color and partially showing ankle patch. 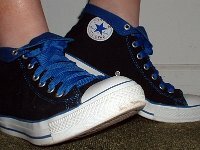 You will have the comfort and great look of chucks by wearing them this way, a look and feel similar to wearing boat shoes. 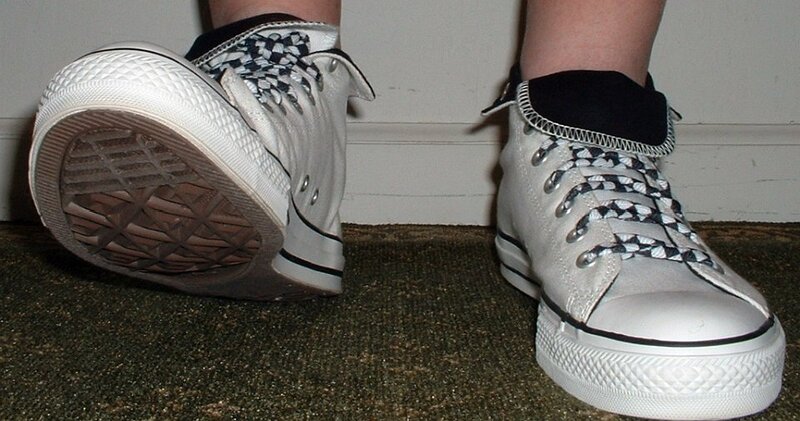 This gallery shows you some different foldover looks for your chucks.